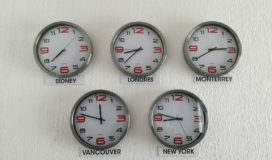 Ever need to join data sources from different time zones? Here’s a scenario I recently faced, and how I worked around it. I needed to join several tables together from two different data sources. One data source was captured in UTC, while the other was local time zone, including Daylight Saving Time (DST) considerations. An additional challenge was that the data source that was in local time zone, can be in different time zones. I did have access to a geography dimension that had the time zones and the number of hours offset from UTC. I know that there are SQL Server specific time offset options, but for a variety of reasons, I needed a more generic option to deal with the time zone and DST factors. That meant I needed to create an approach to check to see if a datetime was in Daylight Saving Time or not. I thought I would be able to find a reference table, but that meant I would need to be able to build one.